Wyoming has the distinction of being the least populous state in America, with less than 600,000 citizens, according to the census estimate from July 1, 2015. The sparse mountainous state has the typical continental climate of the Midwest, with cold winters and warm summers. The state receives a good amount of sunshine, with about 2/3 of its days per year either sunny or partly sunny. That’s 208 to 236 days of solar energy for those solar panels to absorb annually. Despite the availability of sunshine, the Cowboy State falls below the bar in its approach to solar readiness. Perhaps due to its sparse population, the state has limited incentives available to would-be consumers. Like many of the rural states that have less buildings and lots of water sources the leaning in Wyoming is toward wind and hydroelectric power. Still, the declining cost of photovoltaic cells makes now as good a time as any for Wyoming to get up to speed on their solar energy profile, perhaps as addition to their moderate wind setup. 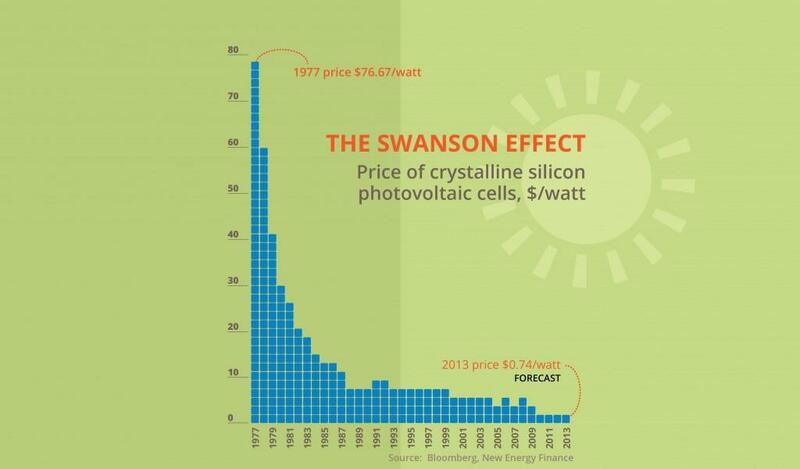 Observe the Swanson Effect graph above to see how much the cost of PV cells has declined over the past forty years. 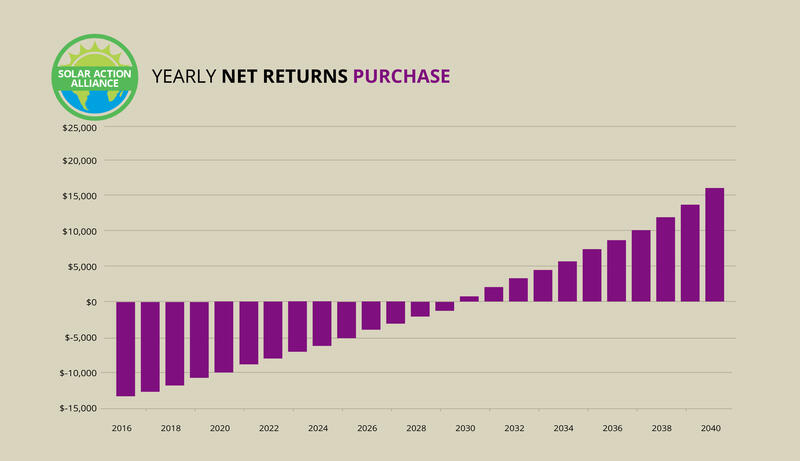 As shown, buying is a high-cost, high-return option, wherein consumers can reap the long-term benefits of ownership if they can afford the upfront cost. A HELOC loan is to use your home equity as collateral against the solar panel installation’s cost. This is a sound option for those looking to avoid the large upfront payment and stretch it out over the course of years, but as you can see, the returns are much smaller. The small installation is provided as an option in-between the two. It carries less upfront cost, incurs less risk, but has the smallest return. The cost of solar panels in Wyoming are a bit above average, at around $20,000. Of course, this is before the 30% Federal rebate kicks in, which cuts down the first-year costs to $14,000. Factoring in the $749 in savings on electricity and the initial hit on your wallet becomes a much less daunting $13,251. 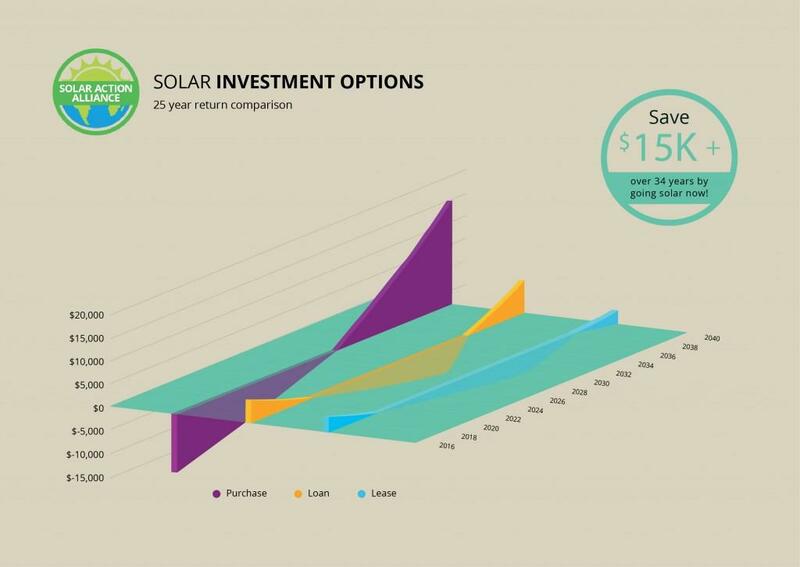 With the expected 3.5% increases in electricity your savings will increase, as your solar panels produces the same amount of energy, so it should take about 15-16 for these savings to add up to the cost of the system. 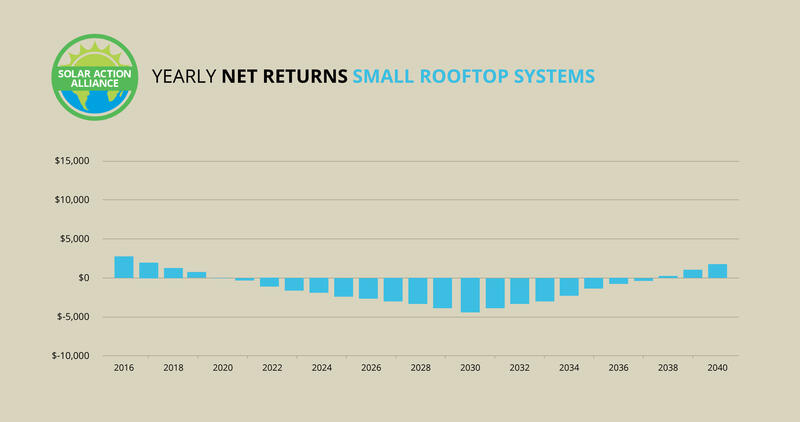 For the remaining 9-10 years of the system’s life you’ll see all large returns, and along with the meager returns of the system’s early life, should end up with a sum near $15,000. If you’ve got some home equity saved up, you can use this as collateral against a loan for the cost of the system. 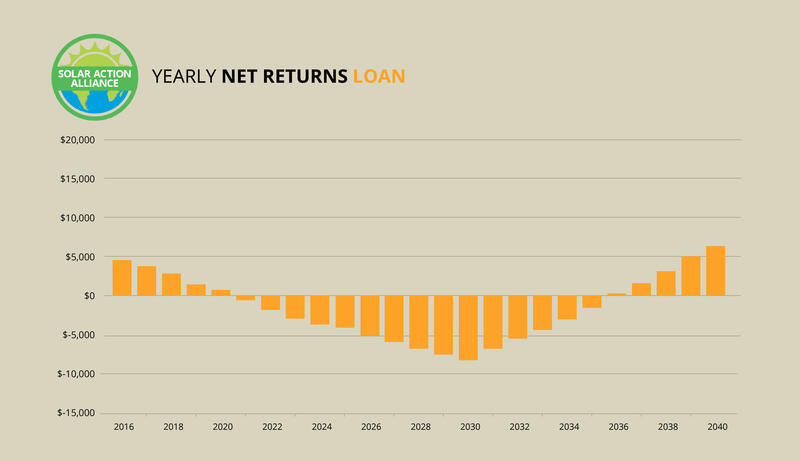 The return on investment is works differently for this method, as the loan payments are likely to exceed the energy savings for the first 17 years or so until the loan is payed off. Fortunately, the Federal tax credit still applies to a loan, so you’ll have $6,000 to offset much of the early payments. After the loan is paid off, the returns are similar to the buying option, only it usually takes longer to be clear of the cost because of the 5.5% interest. The windfall for the loan option is usually somewhere in $7,000 range, which is very good considering that you put zero down. Without a leasing option in Wyoming, buying a small installation is the way to go for those looking to reap the benefits of partial ownership without spending their life savings. The same logic applies to smaller installs, except everything is reduced by 40%. A 5-kilowatt system becomes a 2-kilowatt system; the $20,000 price tag is reduced to $9,000; and the energy produced is 40% less than the standard. This also means the savings are less, but everything lines up. Bear in mind that the Federal tax credit will absorb $2,700 of the original price. The return after the savings have paid for the small installation are in the $1,500 range, so it can be considered a small windfall for a small investment, that is more for the environment than your pocket. Wyoming does not currently have an RPS, so utility companies don’t have much motivation to carve out a portion of their energy output for solar panels. The state would benefit from a mandatory short-term plan, perhaps 10% by 2020, where utilities can get used to the idea of renewable energy before the number goes up. As it stands, the lack of an RPS is reflected in Wyoming’s poor solar output to date. Wyoming’s renewable energy campaign seems almost entirely geared toward wind and hydroelectric energy. Good for the environment, not so much for solar power. In 2013, 1,410 megawatts were produced by wind, 303 were produced by hydropower, and 0 came from solar (yes, zero). 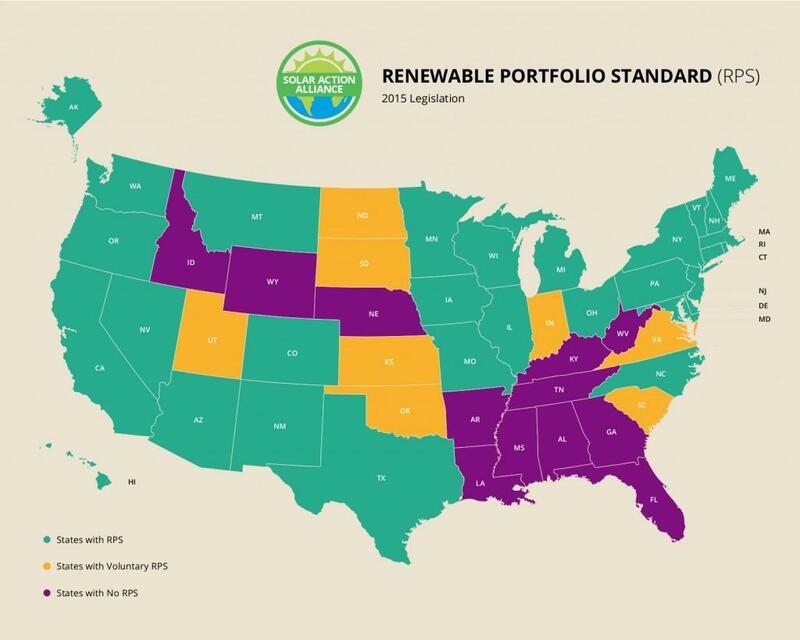 State legislature does little to change this, preferring to stick with the previous methods of renewable energy, which aren’t really effective enough to justify the lack of attention to solar. 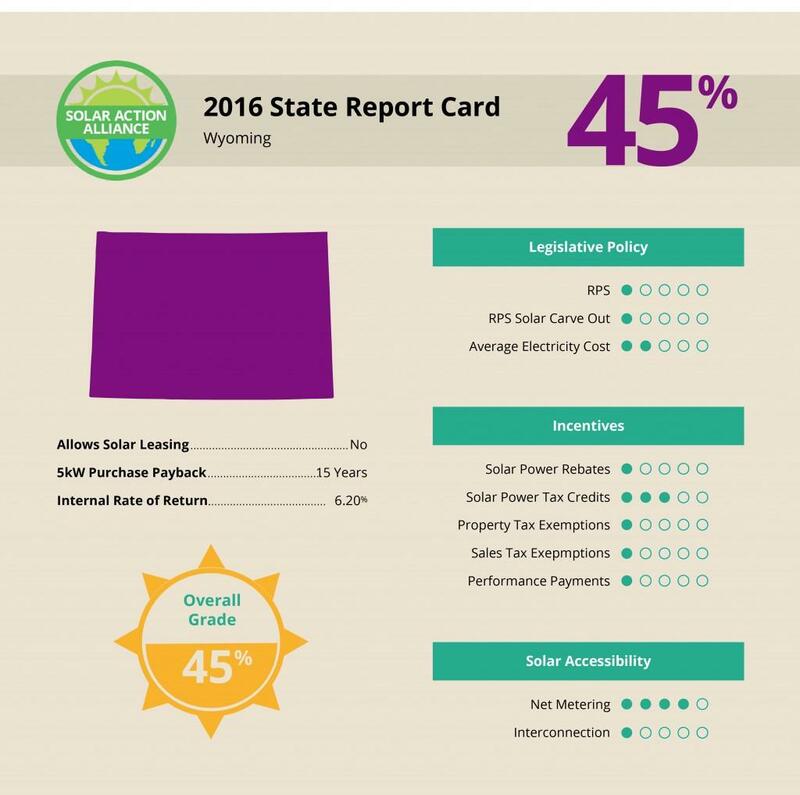 While Wyoming is one of the few states to offer tax credits and their net metering is solid, the lack of an RPS with a solar carve-out or interconnection standards puts the Mountain State near the bottom of the rankings.